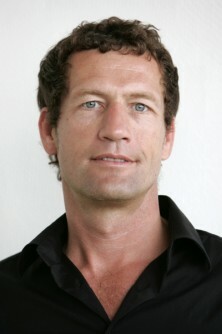 Joachim Sauter has been working as a media designer since the early 1980s. From the beginning, he focussed on digital technologies, and is exploring how they can be used to express content and narration. Fuelled by this interest, he founded ART+COM in 1988 along with other artists, designers, scientists, and technologists. Their goal was to do practical research into what was, at the time, a new and up-and-coming medium in the realm of art and design. He still heads up that interdisciplinary team. Since 1991 he has been a professor of “new media art and design” at Berlin’s College of the Arts, and since 2001 an adjunct professor at the University of California, Los Angeles. The cells in our bodies renew themselves every seven years and old cells die off. We should re-invent ourselves creatively every seven years as well. Since 1988, ART+COM has gone through three seven-year cycles (predict, proof, present) in parallel to the development of “new media design”. We will use the time-lapse technique to take the audience through those cycles.